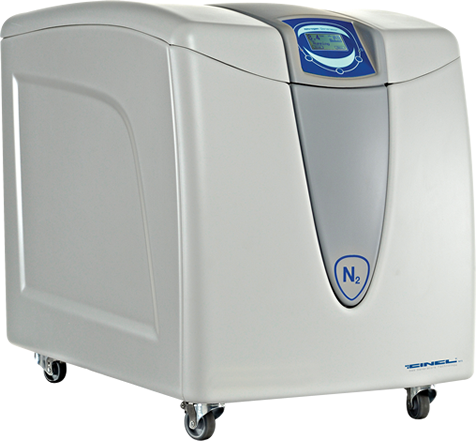 ZEFIRO Nitrogen Generator ELSD series is specifically designed to meet the gas flow, purity and pressure requirements of Evaporative Light Scattering Detectors. The Nitrogen generator uses pressure swing adsorption technology (PSA) to produce nitrogen gas. allowing Nitrogen to pass through.